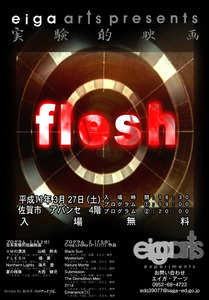 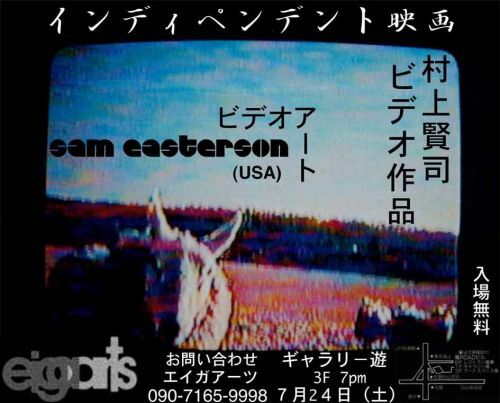 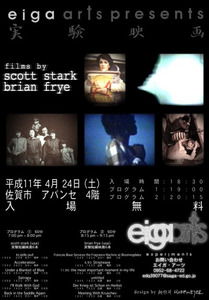 'Eiga Arts' was a series of experimental/avant-garde film and video exhibitions curated by Joss Winn in Japan (1999-2000). 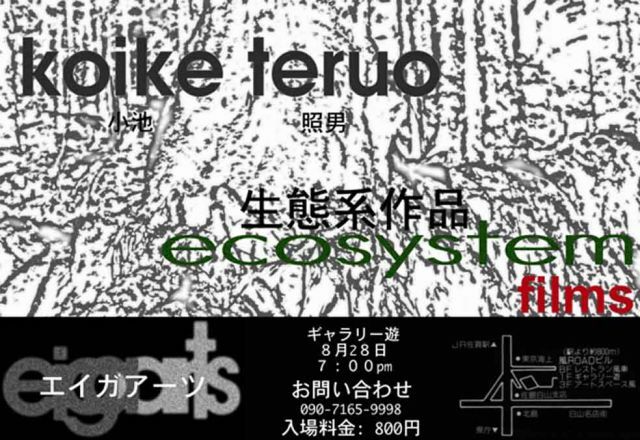 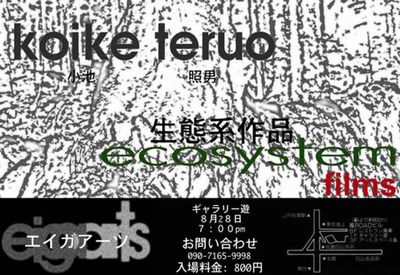 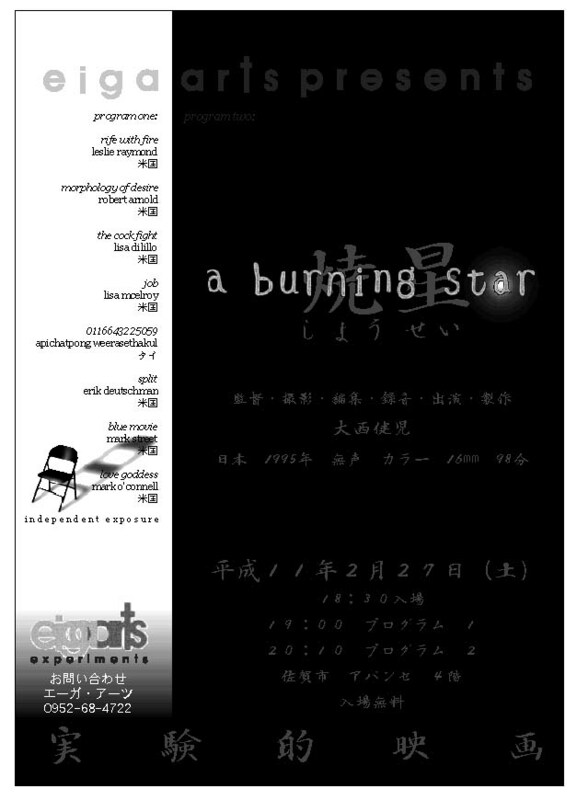 During this period, Eiga Arts acted as an exchange between Japanese and other international film and video artists. 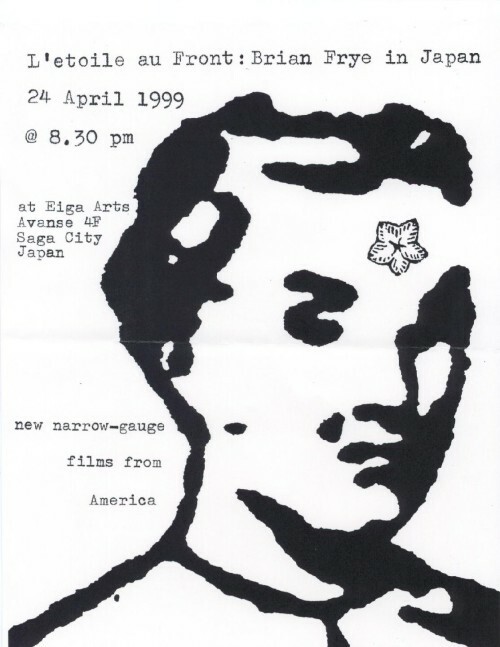 Exhibitions were held monthly in Saga city during 1999, including a publicly sponsored two-day film festival with invited Japanese and American film artists (1999). 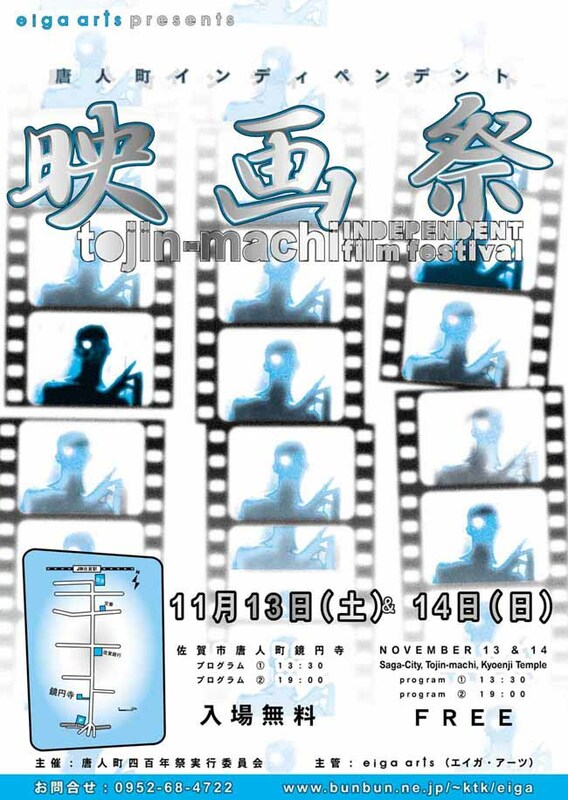 The festival subsequently toured film venues throughout Japan and a selection were invited for presentation at the Rotterdam International Film Festival (2000). 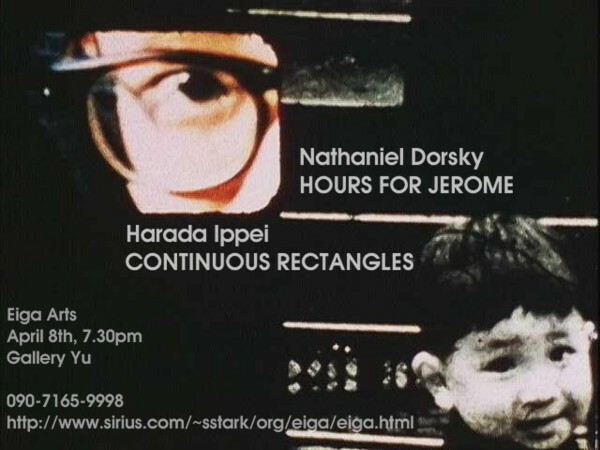 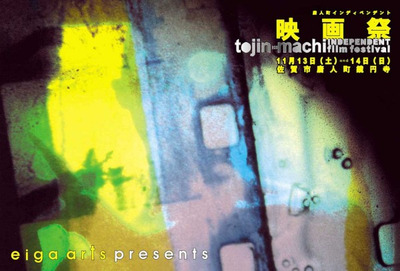 A further two touring exhibitions of contemporary Japanese experimental film were curated for venues in Europe and the USA (2000), including the LUX, London, Pacific Film Archives, Berkley, and the Robert Beck Memorial Cinema, NYC. 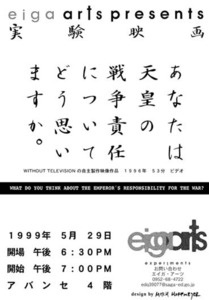 A rich archive of documentation, brochures and correspondence is available to researchers of Japanese avant-garde and amateur film. 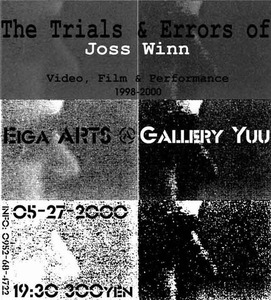 Please contact jwinn@lincoln.ac.uk. 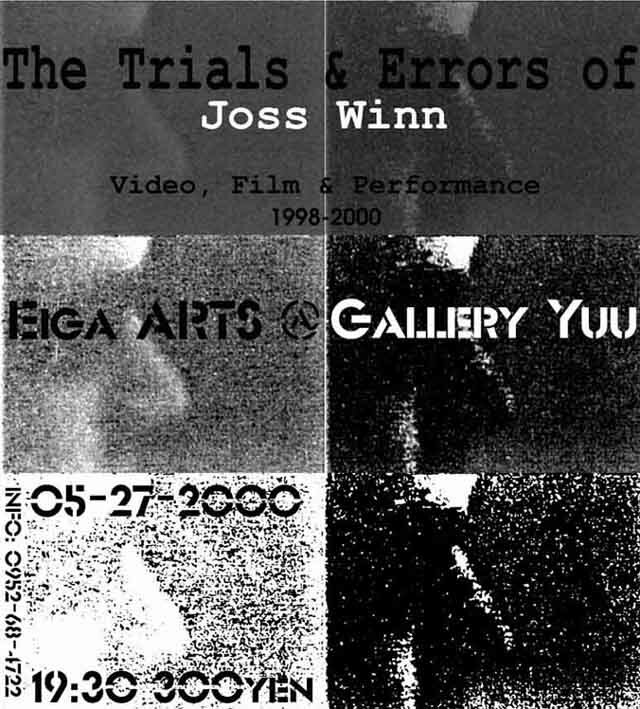 'Eiga Arts' was a series of experimental/avant-garde film and video exhibitions curated by Joss Winn in Japan (1999-2000). 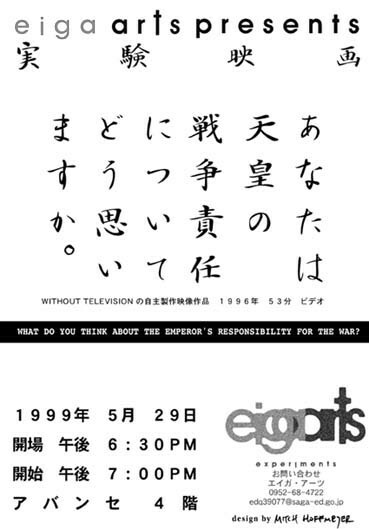 During this period, Eiga Arts acted as an exchange between Japanese and other international film and video artists. Exhibitions were held monthly in Saga city during 1999, including a publicly sponsored two-day film festival with invited Japanese and American film artists (1999). 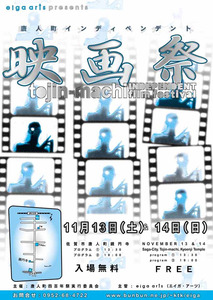 The festival subsequently toured film venues throughout Japan and a selection were invited for presentation at the Rotterdam International Film Festival (2000). A further two touring exhibitions of contemporary Japanese experimental film were curated for venues in Europe and the USA (2000), including the LUX, London, Pacific Film Archives, Berkley, and the Robert Beck Memorial Cinema, NYC. A rich archive of documentation, brochures and correspondence is available to researchers of Japanese avant-garde and amateur film. 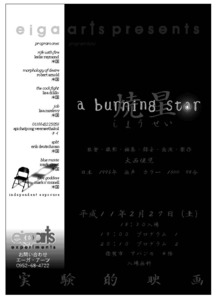 Please contact jwinn@lincoln.ac.uk.